This is, or at least close to, something my maternal grandmother used to cook every now and then. It was definitely one of my favorite dishes as I grew up. I have no idea what triggered the memory, 30 odd years is a long time, but something did and I dug deep in whatever memory banks I still have left. I'll definitely cook this again but there'll be some tweaks along the way, but as a first attempt it was good. Good enough for me to give you guys the base recipe, for you to adapt to your own taste if you so wish. If you are a long time follower of this blog, or have read at least some of the earlier posts, you know that I like to freestyle my food and cook dishes where you can exchange ingredients to match what you got at home. This one fits well in with that, You can cook it from the ground up and roast a chicken, you can use leftover chicken or you can even be lazy and pick up a ready roasted chicken at the deli counter at your local friendly supermarket. The choice is yours. Stir together the creme fraiche with the Dijon mustard and season well. Heat the butter in a frying pan and fry off the leaks until softened. Mix the leeks with the chicken and rice. Stir in the creme fraiche, making sure to mix it in well. 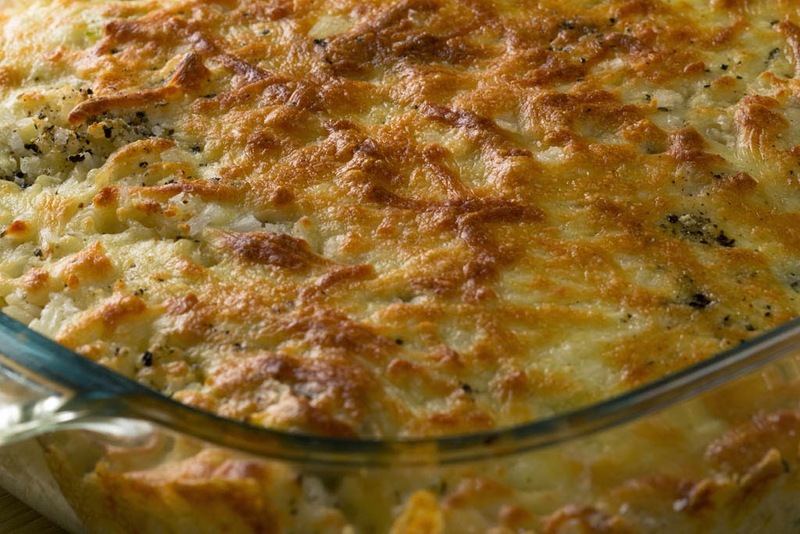 Pour the mixture into a oven-safe dish and put the grated cheese on top. Cook in the middle of the oven for about 25 - 30 minutes or until the cheese have melted and taken on a nice colour.